The other night we invited our friends Kelly (The BLager) and Matt over for dinner. We were excited to have them because A) we hadn’t seen them in way too long and B) we wanted to pitch a collaboration to Kelly - more to come on that but just know that you should be very excited and thirsty! 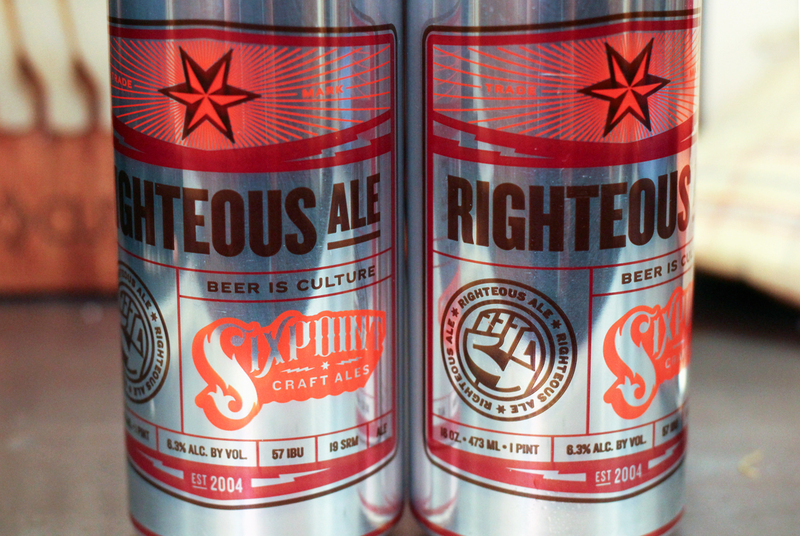 Jake has been developing a recipe for lamb shoulder braised in Sixpoint Righteous Ale and we knew if we could get it right, the dish would wow our visiting lager connoisseurs. Righteous Ale is one of Jake’s favorite beers and the perfect braising liquid to bring out both the sweet and spicy notes of Arcadian Pastures lamb. 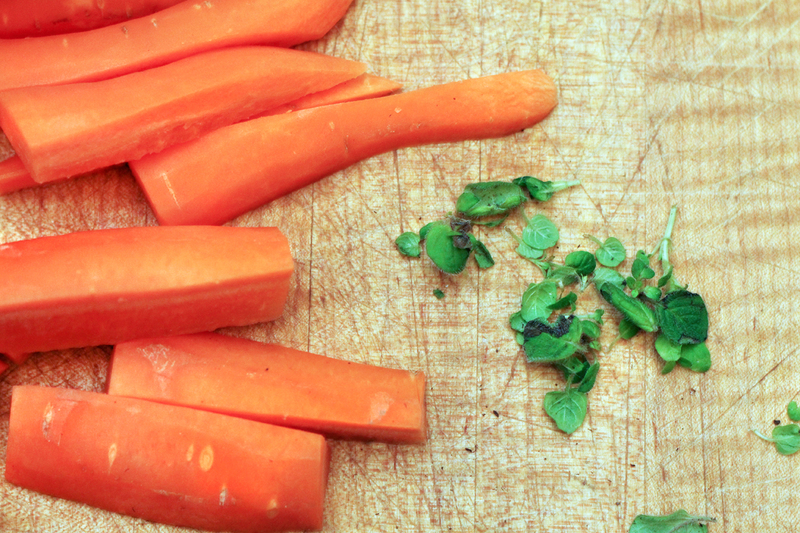 We're always trying to find ways to bring some extra color into our winter meals, so we thought we'd fold in some carrots from Windfall as well. After picking up our ingredients Jake got back in the kitchen, cracked open a can of Six Point goodness and starting sifting through the spice cupboard. As soon as he sniffed the coriander, he knew he'd found the third and final component he'd been looking for. The dish came out really well and, most importantly, was approved of by our official brewmaster. 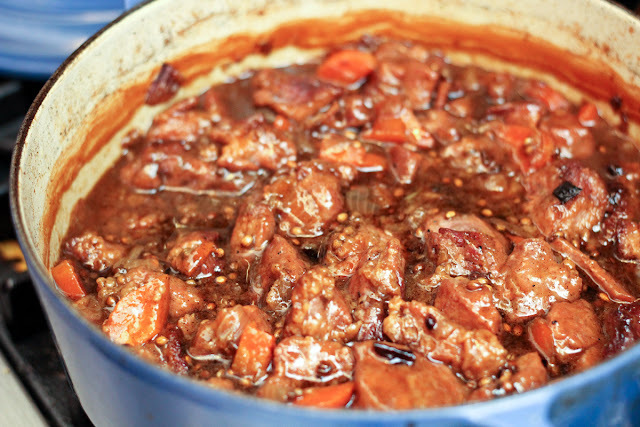 Stay tuned for more news on the beer front, and in the meantime we hope you enjoy this hearty winter stew! 2. With a clean towel dry off the pieces of lamb. On a clean plate pour about ¾ cup of flour and a heavy dose of salt. Mix with a fork and coat the cubed lamb in it. 3. In a heavy pot or dutch oven heat 3 tablespoons of olive oil over high heat. In small batches, brown the lamb pieces, setting aside when done. Add more oil as needed. 4. After browning the meat, turn heat down to medium-high. 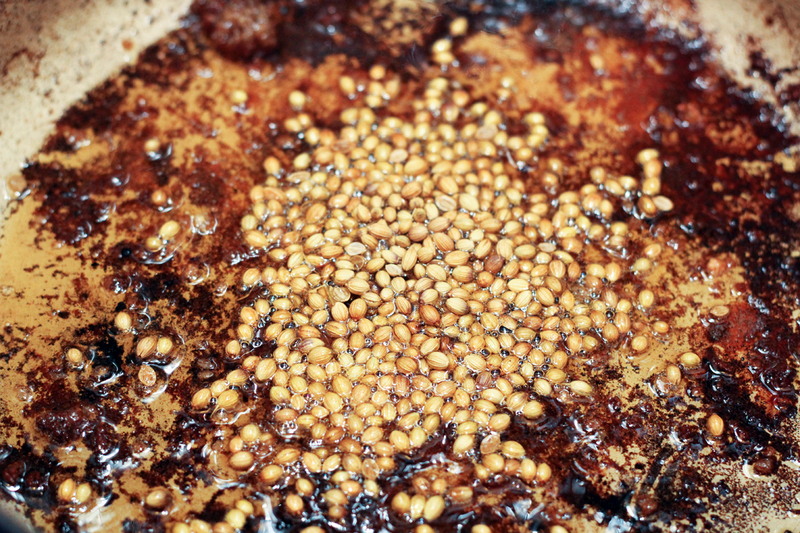 Throw in the coriander, and when the seeds start to toast and release their aroma, add onions and chopped carrots. Cook until vegetables begin to soften. Add lamb back to the pan, along with the beer and stock. 5. Bring to a boil, cover and put in oven for 2 hours. 7. Take out of the oven and serve.